"Across South America; an account of a journey from Buenos Aires to Lima by way of Potosí, with notes on Brazil, Argentina, Bolivia, Chile, and Peru." ↑ https://tools.wmflabs.org/heritage/api/api.php?action=search&format=json&srcountry=pe&srlang=es&srid=CUS-125; মনুমেন্টস ডেটাবেজ; প্রকাশনার তারিখ: 7 নভেম্বর 2017. Bingham, Hiram (1979 ) Machu Picchu a Citadel of the Incas. Hacker Art Books, New York. Burger, Richard and Lucy Salazar (eds.) 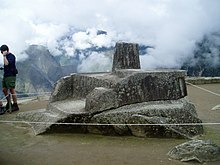 (2004) Machu Picchu: Unveiling the Mystery of the Incas. Yale University Press, New Haven. Frost, Peter (1995) Machu Picchu Historical Sanctuary. Nueves Imágines, Lima. Reinhard, Johan (2002) Machu Picchu: The Sacred Center. Lima: Instituto Machu Picchu (2nd ed.). Richardson, Don (1981) Eternity in their Hearts. Regal Books, Ventura. আইএসবিএন ০-৮৩০৭-০৯২৫-৮, pp. 34–35. 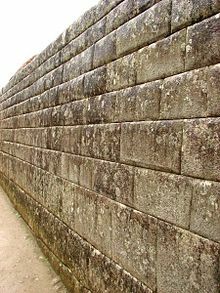 Wright, Kenneth and Alfredo Valencia (2000) Machu Picchu: A Civil Engineering Marvel. ASCE Press, Reston.